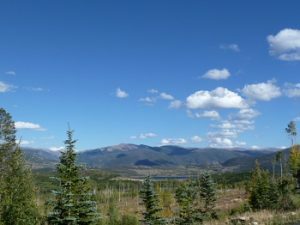 Mesa Cortina West in the Wildernest area of Silverthorne CO Real Estate has a mix of Silverthorne homes and land for sale. With 105 lots total, Mesa Cortina West is the largest of all the subdivisions in the Mesa Cortina area of Silverthorne Colorado. As of 2013 there are 93 existing homes built between 1959 – 2011 which range in size from 717 – 5,048 square feet. There are 12 vacant parcels of land in Mesa Cortina West. All land in the area ranges in size from 0.46 – 0.79 acres. Mesa Cortina West properties can be found on Kings Court, Lord Gore Road, Royal Buffalo Drive, Royal Red Bird Drive and Solomons Lane.